Respecting individual choice and promoting inclusion, rights, and independence. Empowering individuals to meet their needs and goals through a person-centred approach. Providing our clients with the best solutions in terms and conditions based on their unique individual needs. Supporting clients to receive services that they want with dignity and respect and to feel valued. Treating all staff with fairness, listening to them, and enabling them to maximise their contribution. Working with partners to deliver the best possible outcomes for the individuals we support. The ANCO Care Services Limited approach to care at home is person-centred, which involves valuing the individuality of each person. We take into account their needs, preferences, and strengths, and create the opportunity for them to make informed choices about their care and treatment in partnership with their health and social care practitioners. Providing person-centred care also involves recognising and supporting the unique personal history and personality of individuals. 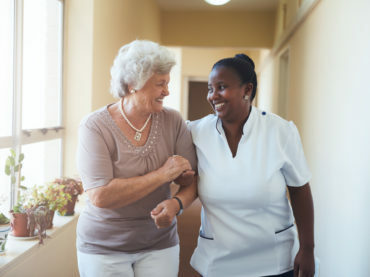 Care at home is an ideal way to do this, as the client remains in their own home, even when they require full-time care, and the care plan is based around the lifestyle of the individual. In our efforts to fulfil a client’s individual requirements, we also take into account legislation and client wellbeing. Specifically, in cases of dementia, our workers are trained to understand the world from the perspective and experiences of the person they are caring for, and be able to demonstrate empathy through action and support. Safe – We mean that people are protected from abuse and avoidable harm. Effective – We mean that peoples’ care, treatment, and support achieves good outcomes, promotes a good quality of life, and is evidence-based where possible. Caring – We mean that staff involve and treat people with compassion, kindness, dignity, and respect. Responsive – We mean that service delivery is well-coordinated so that peoples’ needs are met. Well-Led – We mean that our leadership, management, and governance assures the delivery of high-quality, person-centred care; supports learning and innovation; and promotes an open and fair culture. Affectionately called ‘Caroline the Compassionate’, Caroline is the most caring of individuals who effortlessly builds positive working relationships with people who use our services, their families, our staff, and other health and social care professionals. Caroline co-manages the day-to-day running of the business, including all aspects of the care team, and provides sound leadership to ensure field staff are clear about their respective duties and responsibilities and have the support they need to carry out their roles safely. She has more than 29 years’ experience as a social worker having previously worked for top UK healthcare companies like Bupa™. Caroline is certified as the registered manager by the Care Quality Commission (CQC). Call and speak to one of our friendly team who will discuss the application process and set a schedule for checkups. Request a home visit where we will provide you with a thorough checkups, deep analysis and detailed plan. Once agreed, we will start your care package and introduce you to your caregiver as soon as possible. At ANCO Care Services Limited, we provide exceptional care-at-home services. It is our mission to provide professional, person-centred support and care that promotes independence, dignity, and choice for people who find living on their own challenging due to frailty, illness, or disability. With every service, we endeavour to provide our clients with the ability to continue to offer and/or receive quality care with the comfort of knowing that the staff delivering the care are of the highest standard and have been vetted thoroughly for suitability. It is our belief that our service is stronger with input from our clients, the organisations that use us, and our own staff, which is why we continually seek their feedback through our quality assurance systems to determine how we can improve our services. ANCO Care Services Limited operates a full-compliance service and quality assurance procedure. We understand that our clients must be confident the staff we provide have completed a thorough pre-employment screening process, and we ensure that our support workers not only have knowledge, skills, and experience in the ways of best practice, but also essential empathy, warmth, compassion, and excellent listening and communication skills. All staff new to care work are inducted to the Care Certificate standards. We believe passionately that our work is significant, and know from experience that it has a positive impact on the lives of clients, their families, and the community. All of our employees voluntarily sign up to the Social Care Commitment, which is our public pledge to deliver high-quality care and support. ANCO Care Services Limited itself works to national standards and is registered with and regulated by the Care Quality Commission (England).